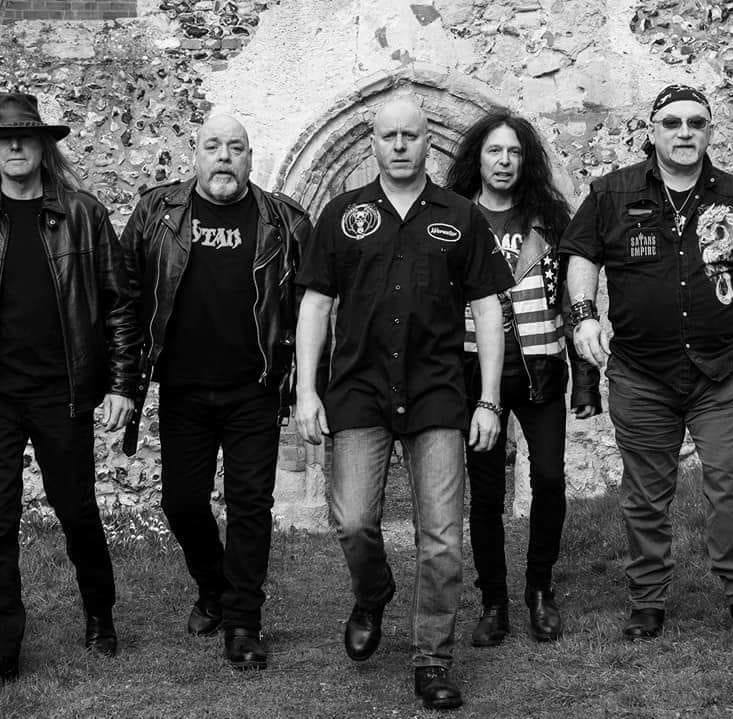 Cult New Wave Of British Heavy Metal band recently reformed. Satan’s Empire originally from Dundee Scotland recorded ‘Soldiers Of War” on the Leadweight Album for Neat Records. The band moved to London in1981 and have now reformed with the original London Line up after 30 years. The current line up Consists of Paul Lewis Guitar, Alex Mcritchie Guitar, Wayne Hudson on Bass, Magpie on Drums and Derek Lyon on vocals. The have been in the studio recently to record their debut album. New album & festival dates coming for 2018.